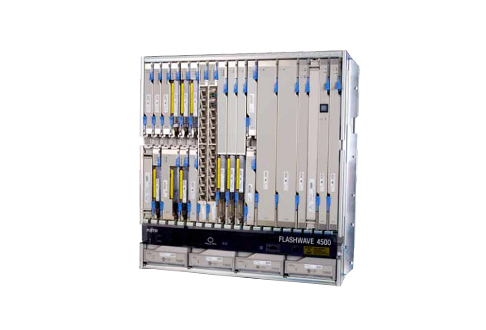 The Fujitsu Flashwave 4500 MSP is a unifying, multiservice provisioning platform designed to support carrier Ethernet and SONET services from DS1 to OC-192. You’ll be able to converge data across synchronous and asynchronous networks while having a more direct, easier method to manage the network, assets and protocols. Migrate your optical network to Ethernet to deliver the best support and reliability for voice, data and video needs. Match business capabilities with customer demands as you provide regional, local and even national services in a flexible, scalable manner thanks to smart equipment like the Fujitsu Flashwave 4500. Unify service delivery and applications with a single, flexible multi-rate card. Moreover, we’ll help make sure it is an affordable option with refurbished Fujitsu Flashwave 4500 systems, parts and related equipment. We have everything your network needs to grow at an affordable rate. Worldwide Supply can ensure you keep your 4500 up and running smoothly by offering the maintenance, parts and repairs your unit requires as you use it. We provide a variety of original Fujitsu Flashwave 4500 filters and universal air filter options that are OEM approved. Get all the support you need at a reduced cost by choosing a used Fujitsu Flashwave 4500 that still supports all leading Flashwave capabilities and protocols, which power many of today’s critical network applications. It’s part of our commitment to keeping your gear up and running so we become a valued partner who can save your CapEx while helping you grow with customer demand.